Plus, the 3 unexpected items I'm so glad I brought. We landed in Paris at 2 P.M. and quickly headed to our Airbnb to drop-off our bags and change out of plane clothes for a multi-stop lunch that went straight into dinner: a sandwich at Caractère de Cochon, buckwheat crêpes at Breizh Cafe, small plates at Clown Bar, a cocktail at Le Mary Celeste, and finally drinks at the Little Red Door with our Assistant Editor, Katie, who I overlapped one day with! Packing Tip: As soon as I was in Paris, I realized I&apos;d never seen so many Vejas sneakers in my life so I felt very hip in mine! That being said, while they&apos;re fantastic around-the-office shoes, they didn&apos;t hold up for ten-mile walks each day. I love them for daily wear, but if I could do it over, I would invest in a shoe with more arch support. It&apos;s also worth noting that I plan my haircuts around vacations so I always feel fresh for trips (having a blowout makes me feel so much better when heading straight from the plane to dinner!). With our Assistant Editor Katie outside of The Little Red Door! What I Did: Jonah and I averaged about six croissants a day (when in Paris, ya know? ), so I wanted to wear something cute but also not super-tight for our second day there. 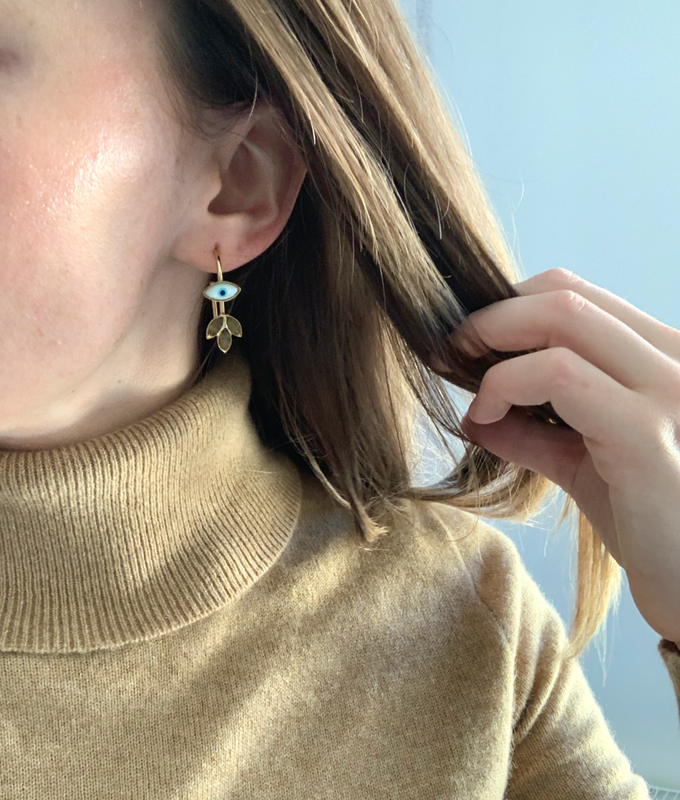 (You can see our favorite croissants on my Highlight here!) We boulangerie-hopped our way to the Sunday bird market on Île de la Cité, visited Sainte Chappelle, and then went to Clamato for lunch—a fantastic recommendation from Emily! For dinner, we went to Le Rigmarole, which was our only bad meal of the trip. I don&apos;t mean to sound like a disgruntled Yelp reviewer, but I was disappointed by both the food and the service, which struck me as rude and condescending. Hopefully it was just an off-night for them since it came so highly recommended to us! 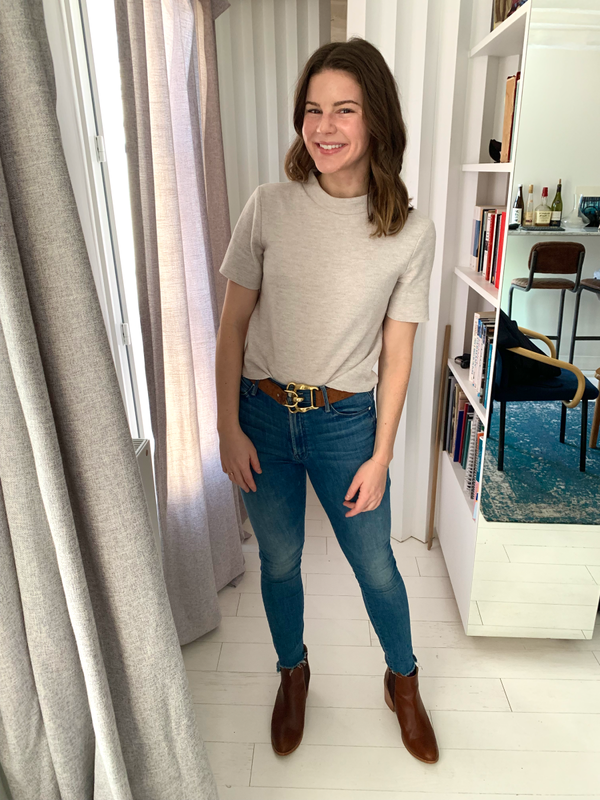 Packing Tip: I always try to pack an all-in-one outfit that I can throw on without thinking about, like a dress or jumpsuit. 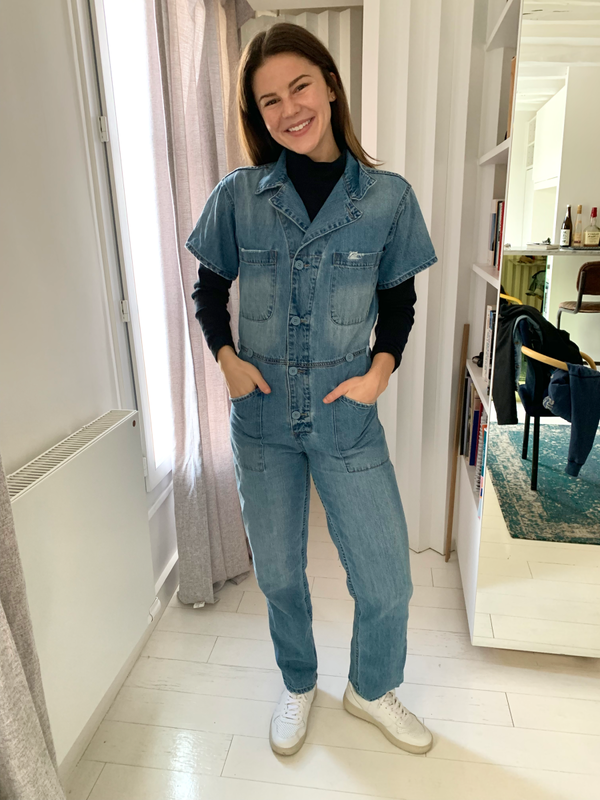 This jumpsuit was the perfect thing to throw on for my first jet-lagged morning, when I could hardly see straight, let alone put together an outfit! 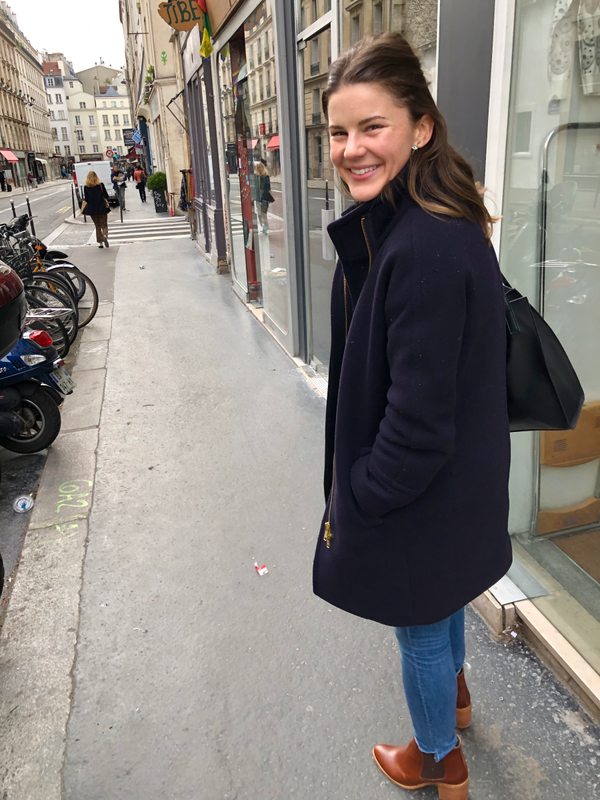 What I Did: This day included the two meals I was most excited for in Paris, so after a "light" breakfast of two croissants (ha), we walked to Mokonuts for lunch, which I learned about from this article and cannot recommend highly enough. We walked off lunch at Musee de l&apos;Orangerie, where we saw Monet&apos;s waterlilies. For dinner, we went to a restaurant I loved so much my last visit, Frenchie, we had to go back—and it was every bit as delicious as I remembered! 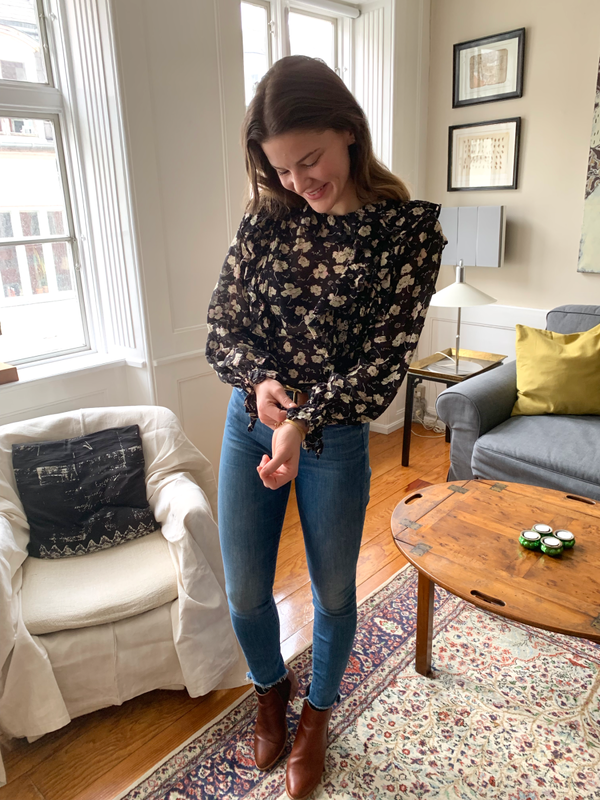 Packing Tip: While a classic tee can feel too-casual for a fancy dinner, a mockneck offers all the comfort for a long day, but looks a bit chicer. I love this one from Zara so much I&apos;m considering buying it in grey as well. What I Did: We started the day with a long walk to Sezane, where I purchased a white blouse, then headed to Frenchie-to-Go for lunch. I had an endive salad I photographed ad nauseum so I can recreate it at home (I&apos;ll post the recipe in &apos;The List&apos; as soon as I figure it out!). From there, we met-up with one of my best friends from college—who we only realized would be in Paris once we were both there! We walked all over the Left Bank, including to Patisserie Viennoise for hot chocolate, then grabbed drinks on the Seine at Les Nautes. 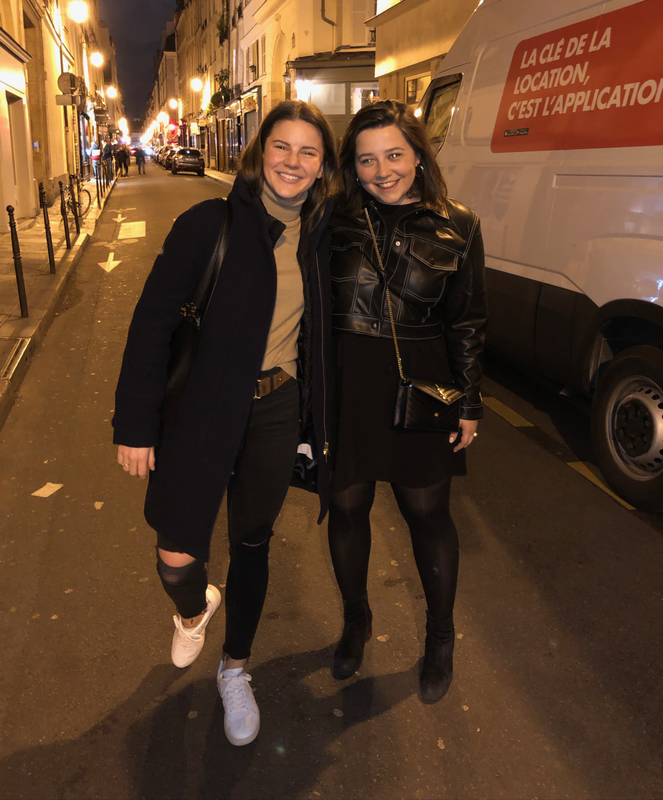 We ended our last night in Paris with dinner at Paul Bert, a recommendation from Katie that was the perfect French bistro ending to a memorable visit! Packing Tip: Layer, layer, layer! 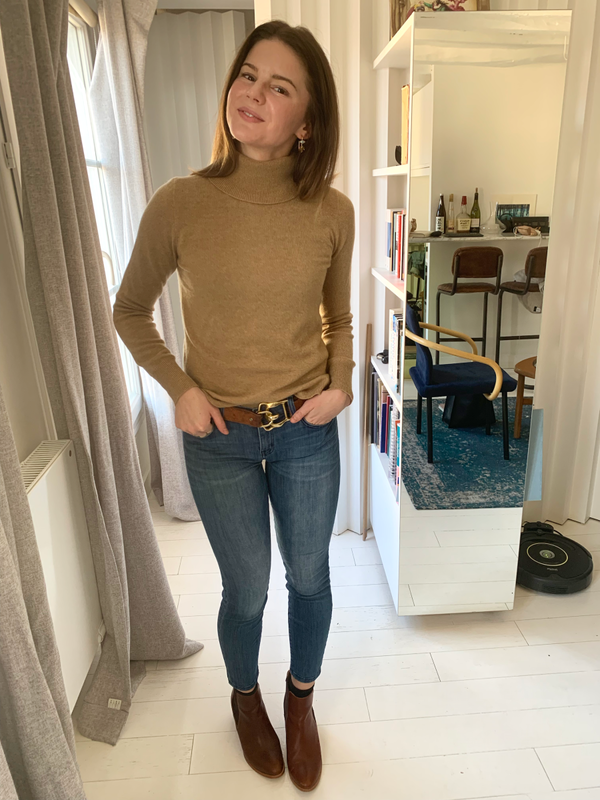 Each day I wore a heavy sweater, I also wore an Everlane tank underneath. From there, I added a Northface jacket under my favorite fall coat so I never had to be worried about getting cold. I also kept a travel wrap in my purse, which I often pulled out as an extra layer at night! What I Did: We left Paris bright and early to grab a flight to Copenhagen and meet my parents! We headed to lunch at Torvehallerne (I got the congee from Grød), then walked around downtown, and got dinner at Barr—where, no joke, we ordered one of everything. We ended the evening with drinks at one of my favorite cocktail bars, Ruby (if you go, make reservations—they fill up quick most nights). Packing Tip: Always leave room for purchases! 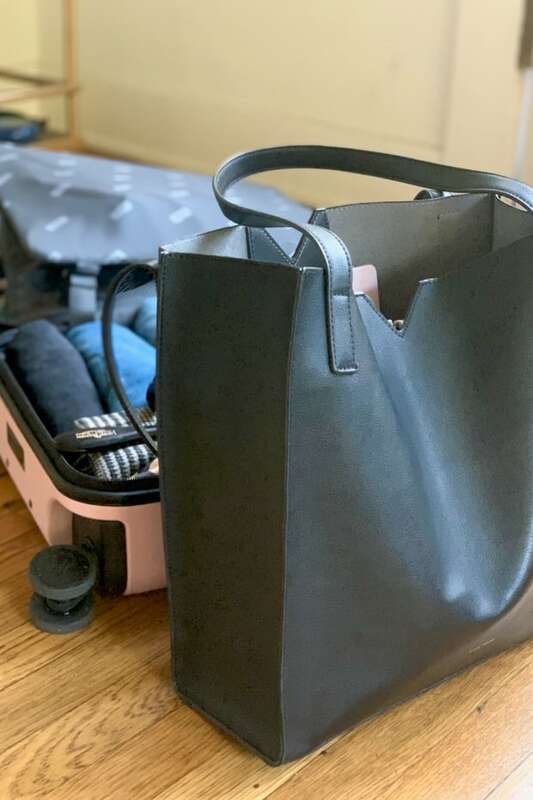 Ahead of my trip, I knew I&apos;d be buying something at Sezane, so I left some room in my bag and packed a foldable weekender bag just in case (which I didn&apos;t end up needing but was glad to have in case something caught my eye). 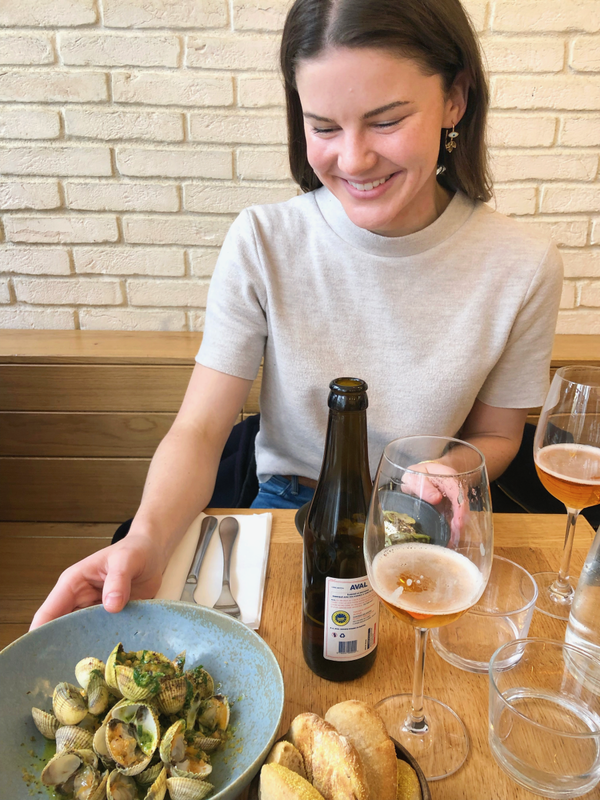 What I Did: After sleeping in, we headed to lunch at Palægade for smorrebrod (Danish open sandwiches), then walked around the royal palace, the Design Museum, Illums Bolighus, and finally went to the Mikkeller bar in Vesterbro. For dinner, we met friends at Paté Paté—it was perfect for a group dinner! 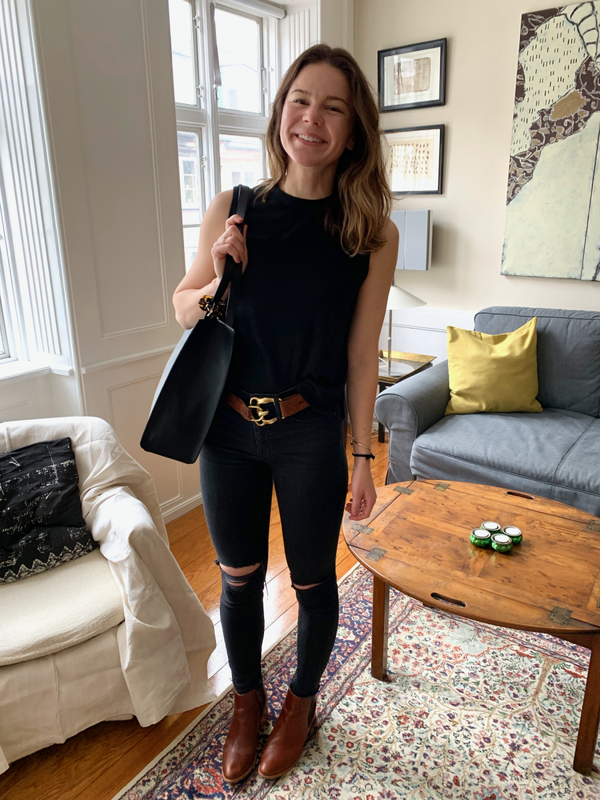 Packing Tip: In Jess&apos;s recent post, she recommends bringing three pairs of shoes for any trip—but you can get away just bringing two as long as its "boots weather," since boots can pull double-duty as dinner-appropriate attire. Just make sure they&apos;re comfortable enough to spend a day walking around in! 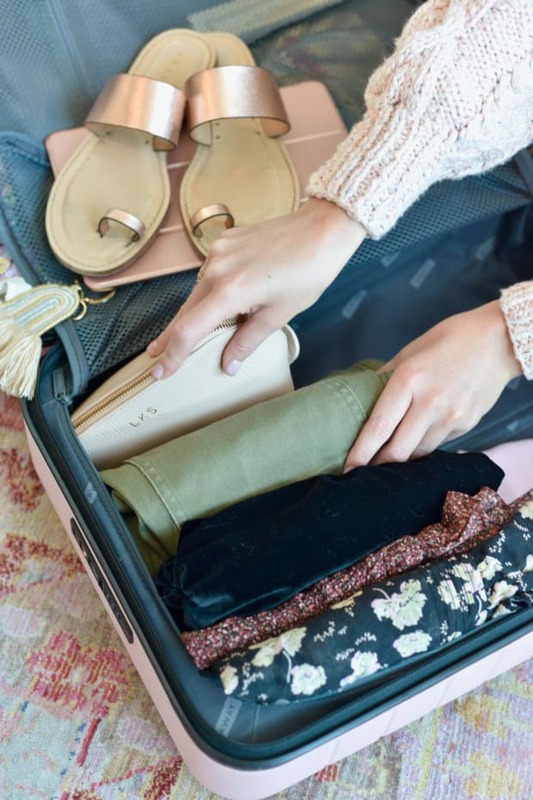 Packing Tip: I packed two skirts I would have worn far earlier in my trip—but I forgot to pack black tights! Luckily, I passed a pair in a store window that I grabbed for my last day. In the future, I&apos;ll make sure to pack two pairs (in case one snags), which would have doubled my wardrobe. What I Did: We started our day at one of my favorite bakeries, Andersen & Maillard, then walked through Assistens Cemetary to a cute street full of shops, Jaeggersborgade. There, we had a long lunch at Manfred&apos;s, then biked back to the Airbnb where we met my cousin who&apos;s studying for her Master&apos;s Degree in Barcelona! We caught up, then headed to Ved Stranden 10 for wine and snacks at Apollo Bar, a beautiful restaurant in a museum right next to Nyhavn. 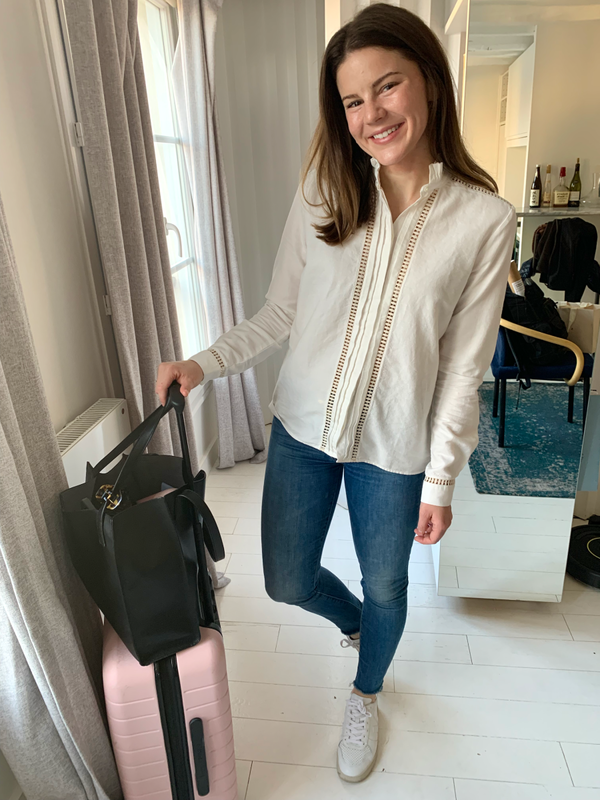 Packing Tip: While I normally pack a small cross-body bag, I didn&apos;t bring one this trip in anticipation of purchasing a purse at Sezane (I bought the blouse instead). But I was actually surprised at how useful I found it to have a small structured tote. It enabled me to bring my travel journal out with me, as well as store extra layers (and croissants) for later in the day. 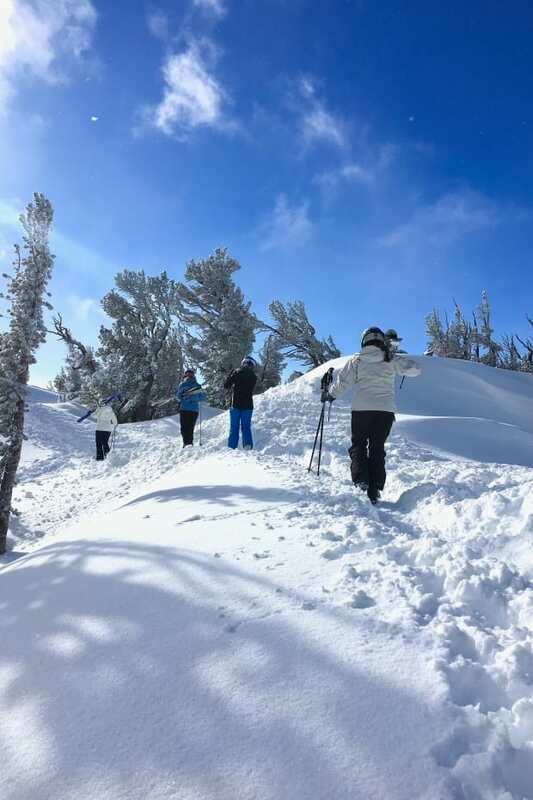 What I Did: We ended our trip with a bang so I wanted to be as comfortable as possible! 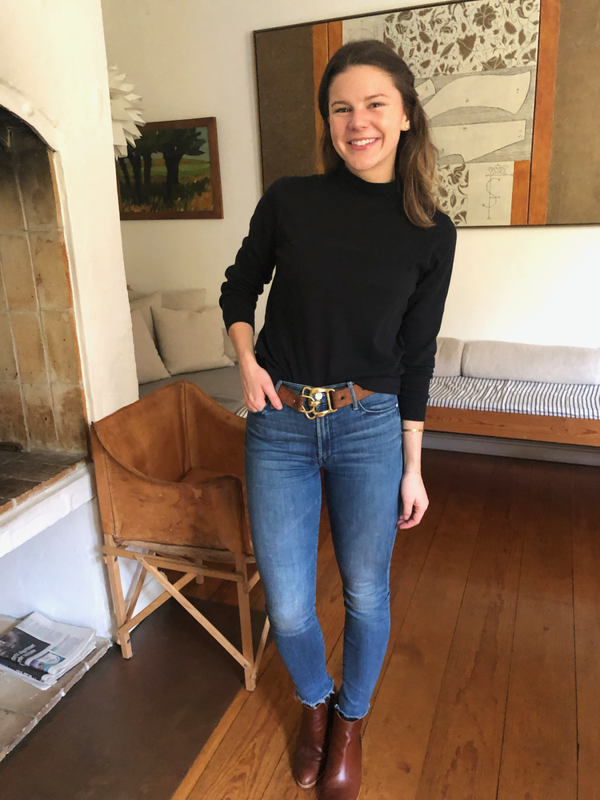 I threw on an easy cotton turtleneck, jeans, and boots then we hopped on our bikes for what turned out to be a 21-mile ride to show my cousin the city. (You can see highlights of the ride here.) In the morning, we visited: Juno the Bakery (thank you to everyone who recommended this to me on Instagram! ), Assistens Cemetary, Frederiksberg and the Cisternes museum there (a trip highlight!). We met my parents at Granola for lunch, then headed back to Hart Bageri. From there, we biked around the Meatpacking District, through Islands Brygge, the Black Diamond library, Nyhavn, Christiania, Mikkeller Baghaven, and to Mother for our last dinner of the trip. 1. Le Labo &apos;Discovery&apos; Set: I scored a pack of travel-sized Le Labo perfume at our Galentine&apos;s Day gift swap (thanks, Jess!) and brought all of them on my trip with me. I loved being able to spritz on a different scent each day. It&apos;s a tiny detail that felt a little more special than the usual perfume I wear everyday. 2. 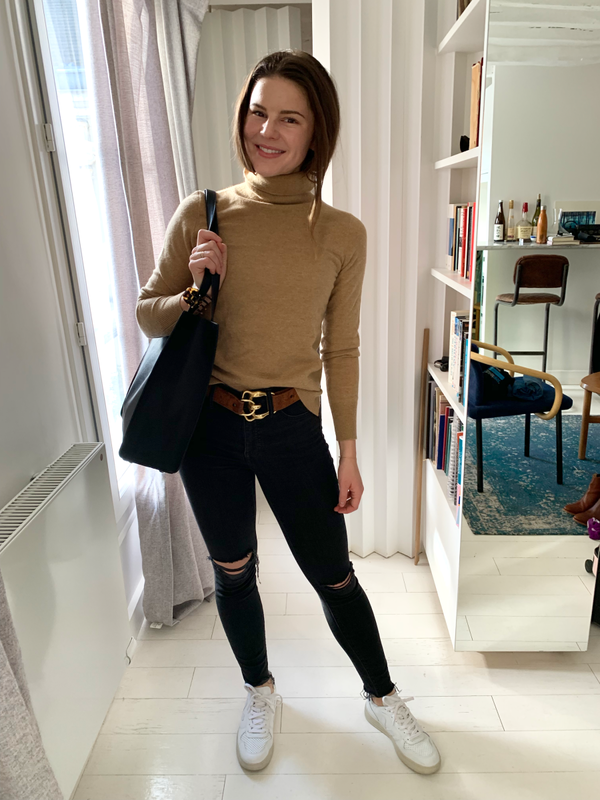 Travel wrap: I&apos;ve never considered a travel wrap a necessity before this trip, but it&apos;s easily the item of clothing I used the most—as a blanket on the plane, a chic poncho over my black leggings and tank in the airport, and a scarf I could layer over my coat at night. 3. Headphone splitter (and just $4! ): Normally, Jonah and I each take one earbud to watch a movie together on my iPad on the plane, but it&apos;s often difficult to hear the dialogue over the hum of the airplane with just one ear. I felt a bit silly purchasing a headphone splitter online (so retro, no? ), but it made the viewing experience significantly better for both of us! 1. 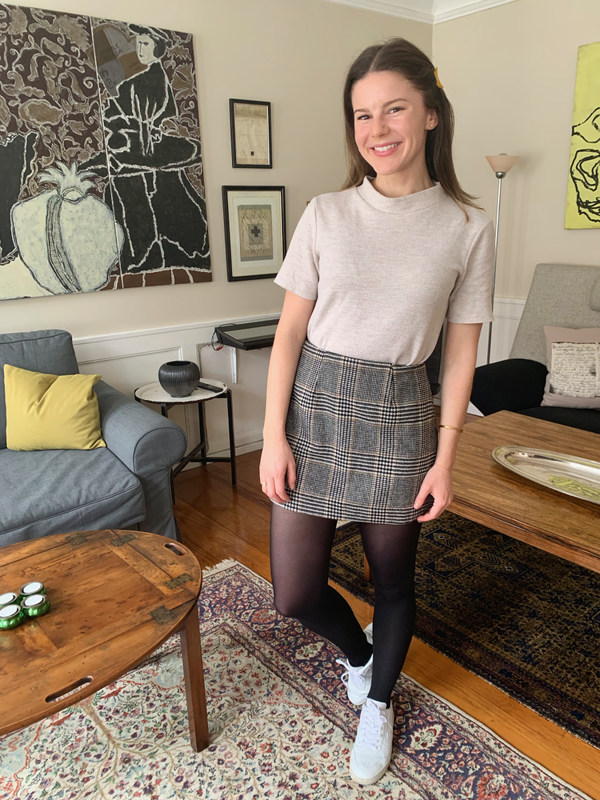 Black Tights: While I bought a pair of tights at the end of my trip, I would have been able to wear both the skirts I brought far more had I remembered to bring tights in the first place. They take almost no space at all and would have doubled my wardrobe. 2. Lint Roller: I wore a small grey scarf a few evenings (not pictured above) that ended up covering my coat in lint. I wish I&apos;d had a way to remove it—but instead I looked like the abominable snowman by the end of the trip. 1. Delicate shirts: All I wanted to wear was cotton or sweaters. Of the three "nicer," more delicate shirts I brought, the only one I ended up wearing was my Doen top, though I could have benefitted from another cotton turtleneck. 2. Travel-Sized Shampoo and Conditioner: My Airbnbs provided both shampoo and conditioner, so the tubes I packed were unnecessary (unless, of course, you have a brand you prefer enough to bring!). 3. A hardcover book: While I always download books to my iPad before flights, I also pack a hardcover book just in case charging fails me—but the truth is that, with careful planning, that almost never happens. My book ended up being dead-weight, though I cruised through the e-books I downloaded. P.S., Here&apos;s my full guide to spending a long weekend in Copenhagen, and a week in Paris. Was this guide helpful? Do you have any big trips planned? Share in the comments below!